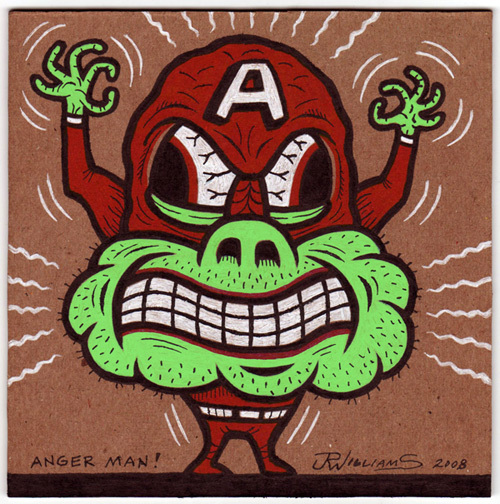 Anger is his super power! Inks on cardboard, 5" x 5". I accept PayPal.